Meditation and the mindfulness of yoga have both been shown to help with cardiovascular disease. YOGA, an ancient Indian practice once viewed as only for the very fit and flexible, has become as popular as jogging and aerobics. This could be a boon for people with high blood pressure, heart failure and other forms of cardiovascular disease, according to Healthbeat, Harvard medical school’s newsletter. A promising body of research suggests that yoga’s combination of stretching, gentle activity, breathing and mindfulness may have special benefits for people with cardiovascular disease. 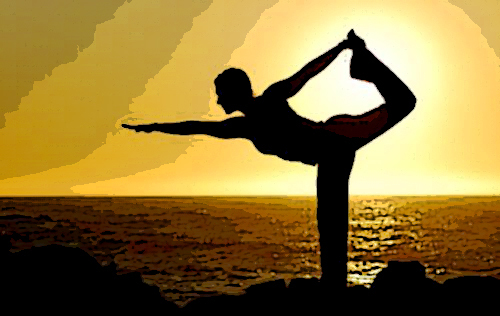 The word “yoga” comes from a Sanskrit term that means union. It aims to join body, mind, and the day-to-day challenges of life into a unified experience. Hatha yoga’s path to balancing mind and body involves three interconnected threads: physical postures called “asanas”; controlled breathing; and calming the mind through relaxation and meditation. Getting into the various postures during a yoga session gently exercises the muscles. Anything that works your muscles is good for your heart and blood vessels. Activity also helps muscles become more sensitive to insulin, which is important for controlling blood sugar. Deep breathing also has its benefits. Taking fewer but deeper breaths each minute temporarily lowers blood pressure and calms the sympathetic nervous system, which is responsible for generating stress hormones. Meditation and the mindfulness of yoga have both been shown to help people with cardiovascular disease. A small number of trail studies suggest that yoga may reduce high blood pressure, improve symptoms of heart failure, ease palpitations, enhance cardiac rehabilitation, lower cardiovascular risk factors such as cholesterol levels, blood sugar and stress hormones. It may improve balance, reduce falls, ease arthritis and improve breathing for people with chronic obstructive pulmonary disease. Ask a dozen physiologists which exercise is best, and you’ll get a dozen wildly divergent replies, reports Gretchen Reynolds in the New York Times. “Trying to choose a single best exercise is like trying to condense the entire field of exercise science,” says Martin Gibala, the chairman of the department of kinesiology at McMaster University in Hamilton, Ontario. Sticking with an exercise is key, even if you don’t spend a lot of time working out. Gibala recommends high-intensity inter- val training, which involves a series of short, strenuous intervals on stationary bicycles. In his first experiments, riders completed 30 seconds of cycling at high intensity. After resting for four minutes, the volunteers repeated the interval several times, for a total of two to three minutes of extremely intense exercise. After two weeks, the high-interval riders had increased their aerobic capacity as much as riders who had pedaled leisurely for more than 10 hours. Other researchers have found that high-intensity interval training reduces blood-sugar levels and diabetes risk. There’s no reason why this training shouldn’t be adaptable to almost any sport, Gibala said, as long as you adequately push yourself.